LIDAR-or light, detection, and ranging-is a method of surveying terrain. When you use a helicopter for surveying terrain, you get an aerial mapped view that can prove useful for pipeline surveys for the gas and oil industry. It uses lasers to create a 3-D representation of the area being surveyed. This technology can be used for a variety of other purposes as well, such as forestry and for autonomous cars. The laser spurred the use of LIDAR in the 1960s. One of the first uses of LIDAR was by the National Center for Atmospheric Research to measure clouds. NASA soon implemented the technology by using it in the Apollo 15 mission to map the surface of the moon; this resulted in widespread public knowledge of LIDAR by 1971. While LIDAR was always called by this name, it originally did not start as an acronym; the general public assumed the acronym, which influenced this. LIDAR technology is very similar to that of radar or sonar. But LIDAR uses light waves from a laser instead of sound waves like radar and sonar use. Radar uses radio waves while sonar uses echo. As anybody familiar with elementary science would know, light travels faster than sound. A LIDAR system is capable of firing around 1,000,000 pulses in a mere second! LIDAR applies science in that it measures the amount of time it takes for light to return after it bounces off of the terrain being surveyed. Light travels close to 186,000 miles per second. While it looks like it happens instantly, it does not. This time can be measured to create data. Calculating the distance it takes light to return uses the scientific formula of the speed of light times the time of flight divided by two. When data is collected the height, orientation, and location of the instrument are included. LIDAR typically uses two different methods: direct energy detection (incoherent) and coherent detection. One advantage of mounting a LIDAR system on a helicopter is its speed. With this technology, it is possible to survey a large portion of land in just a matter of minutes. Another advantage is the accuracy of surveying with LIDAR-in just minutes it provides an accurate survey of the land. Both airplanes and helicopters use the technology for surveying and are two of the most common ways it is used. While LIDAR can be attached to planes for surveying, helicopters provide an advantage because they fly closer to the ground. Because helicopters with LIDAR fly at a lower altitude, a helicopter can achieve greater accuracy. 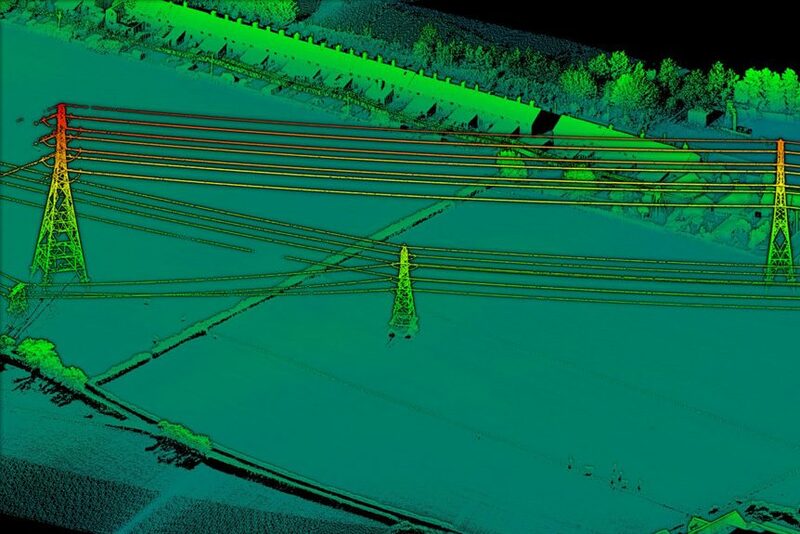 LIDAR can help planning projects when surveying. The 3-D images can assist when analyzing road access and for pipeline design development. A helicopter with mounted LIDAR can show the terrain accurately, including the altitudes of slopes, map out vegetation in the area-such as brush and trees. Four components make up LIDAR. There is a laser, a scanner, photodetector, and a Global Positioning Systems (GPS) receiver. Most of the time “eye-safe” laser technology is used. These lasers have a wavelength of 1550nm. The wavelength used can go long range. There are different scanning methods used in LIDAR. Different methods have different resolutions. A photodetector can analyze and create a record of signals coming to the system from the device. Two that are commonly used include solid state detectors and photomultipliers. Determining the exact position is crucial to collect an accurate survey. All of these components work together to create a quick and accurate survey of the surrounding land. LIDAR not only proves to be a vital tool for the gas and oil industry but for other endeavors as well.